Chinese companies are set to ditch their domestic banks in favour of supply chain finance from non-bank lenders and foreign banks. A survey from East and Partners, a research firm, shows that CFOs around the world are planning to reduce the number of supply chain finance banks they use from an average of 14. The trend is most acute in China, where one-third of corporates indicated intentions to move towards an international programme. The company polled 736 corporate treasurers and CFOs from eight countries. Chinese large corporates take on average 110 days to pay their suppliers, compared to 49 days in Germany (the lowest of the data set) and well over the average 63 days. China and Australia are the two markets in which suppliers are most commonly seeking to shorten payment cycles. 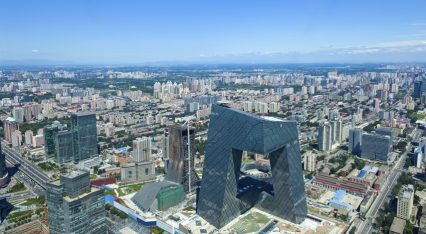 Research shows that two-thirds of companies in China are looking to tighten payment terms, which might explain the Chinese companies’ inclination to change up their supply chain finance programmes. In conversations with banks in Australia this week, it has been clear that supply chain finance has not made the progress in the market that they’d hoped. After the conclusion of the resources boom, many investment projects have closed and large-scale project financings and revolvers have fallen from the deal landscape. Australia’s big four banks looked to supply chain finance as a way of diversifying the offering, but take-up has – as confirmed by two senior bankers this week – been very low. The research, seen by GTR, also suggests that specialised supply chain financing programmes such as receivables financing, buyer financing and inventory financing have a very low utilisation across the board. Just 4.9% of the corporates interviewed in China use receivables to finance the supply chain, with 37.7% using traditional trade finance. However, these companies on average expect a big rise in the use of specialist programmes, with 69% anticipating greater use of receivables finance. Currently, domestic banks provide Chinese companies with 74.4% of their supply chain financing needs – with a further 14.2% coming from non-bank lenders and 11.4% from foreign banks. The survey shows that this model may change in the future, as Chinese companies look beyond their own borders.